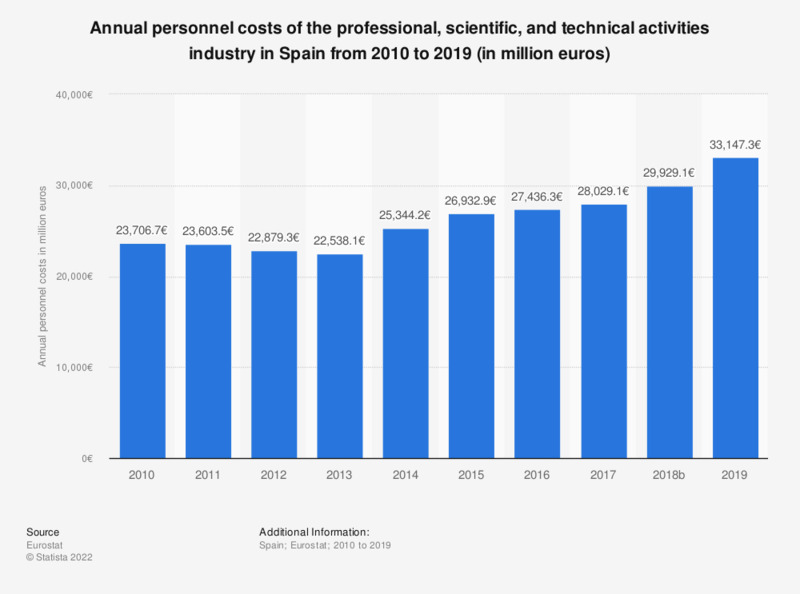 This statistic shows the annual personnel costs of the professional, scientific and technical activities industry in Spain from 2008 to 2015. In 2014, the professional, scientific and technical activities industry produced personnel costs of approximately 25.3 billion euros. Data coverage corresponds to Section M of NACE Rev2.